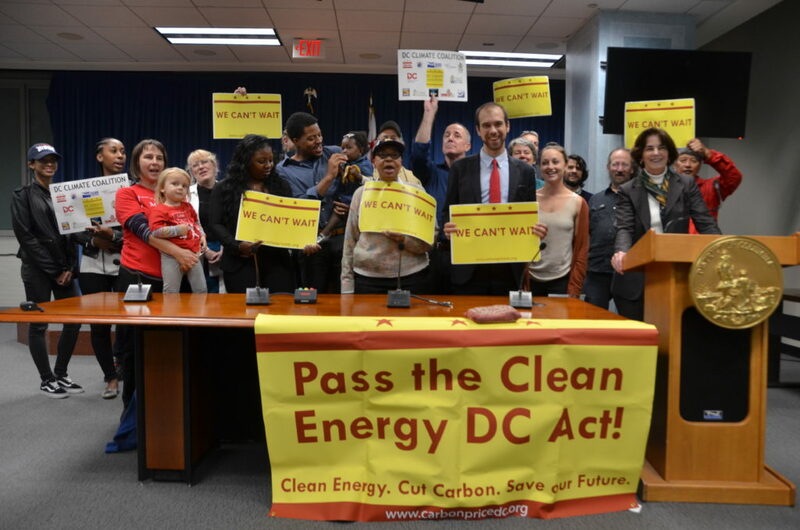 On Monday, the DC Climate Coalition and dozens of DC residents gathered at the D.C. Council building with Councilmember Mary Cheh to urge councilmembers to strive for climate leadership by passing the Clean Energy DC Act. Cheh’s presence was strengthened by voices from the community who supported the Act. 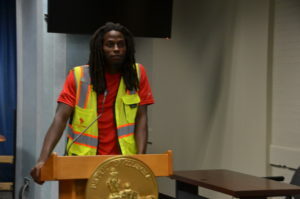 An installer for New Columbia Solar and resident of Ward 8, Tyshaun expressed how cleaner energy can provide an opportunity for more jobs for people in the community. 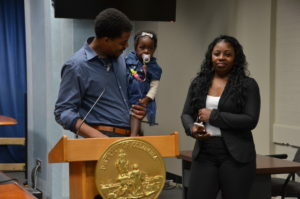 Tiffany Aziz, an organizer for the “Not in My Community” coalition, shared excitement for alternative forms of energy such as solar panels pushed to make D.C greater. She was joined by her coalition partner Will Jones — and his adorable baby girl! 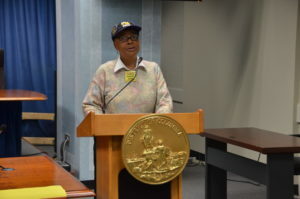 A Service Employees International Union 32BJ officer, Judith Howell expressed that the Clean Energy DC Act would invest in energy efficiency, clean energy, jobs for DC workers and help low-income residents pay their bills.